Please note: The Erwin Hymer North America (Roadtrek, Hymer, Carado Factory) in Canada is no longer in business effective Feb 15, 2019. The company is in receivership. As such, parts are unavailable from the factory; however, alternative suppliers for many parts have been indentified. As for service, there is no Hymer North America factory warranty reimbursment. I am continuing to service both newer and older units as in the past; however, payment is required. Depending on the age of the appliances, some may be covered by manufactuer warranties. Also, fee-based consulting via email/phone is available. I specialize in Roadtrek, Hymer & Carado motorhome repairs and annual service. I conduct inspections, provide technical education, new owner walk-throughs, and consulting services. I offer my services at various locations in California depending on my travels and I make house calls. I offer Roadtrek, Hymer & Carado owners a preferred rate. I have an electrical background, specializing in power for the Bell System and studying Electronics Technology in college, and I am a certified Journeyman Central Office Installer. 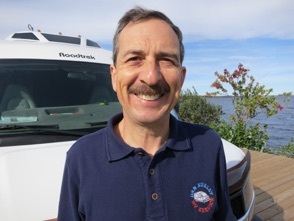 I am an RVTC Master Certified RV Service Technician, an RVDA-RVIA Certified RV Specialist in Electrical Systems, and I am Roadtrek-Hymer Factory trained. Also, I’m a Dealer with Alde, AM Solar, Battery Systems, Dometic, Progressive Industries, Roadtrek, Suburban, Thetford/Norcold, and TriMetric. Thank you for visiting my web site and happy RVing!